We recently ran a Beta program for the upcoming NAKIVO Backup & Replication v7.2, which includes new great features, such as SQL Log Truncation, Instant Object Recovery for MS SQL Server, ASUSTOR NAS support, and Calendar Dashboard. All Beta program participants were invited to complete a Beta Survey, which included a series of questions about their infrastructure and feedback on the v7.2 Beta. In this post, I’d like to share some of the survey results with you. 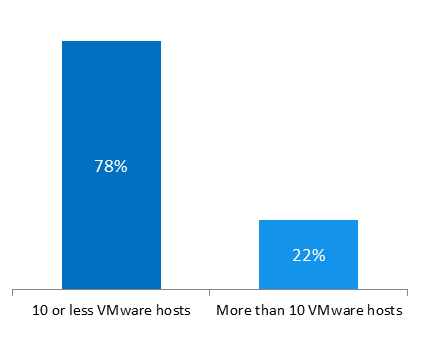 Nearly 80% of SMBs using VMware in their IT infrastructure have up to 10 VMware hosts in production. 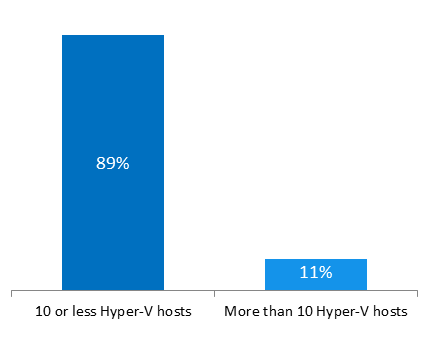 A quarter of SMBs are using Hyper-V in production, and about 9 out of 10 have 10 Hyper-V hosts or less. 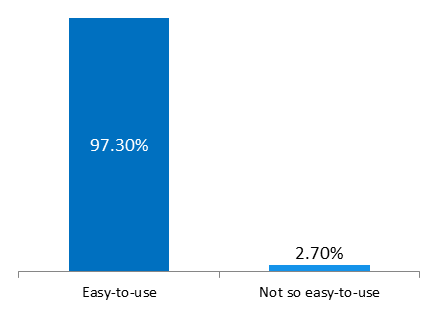 The clear majority (64%) of Hyper-V users use old Hyper-V versions (Hyper-V 2012 R2 or earlier). 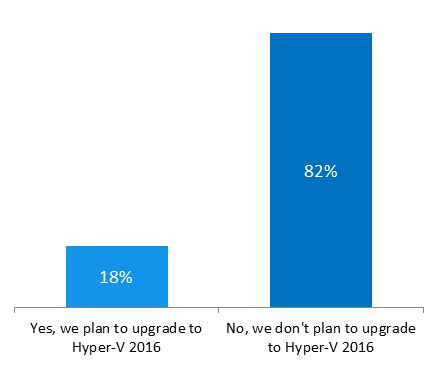 Of those who run an older version of Hyper-V, only 18% plan to upgrade to the latest version in the next 12 months. To store their VMs, about 1/3 of respondents use NAS servers, 1/3 make use of local hosts, and the rest 1/3 purchased a dedicated storage server for this purpose. Thus, VMs are evenly scattered among different types of storage devices. 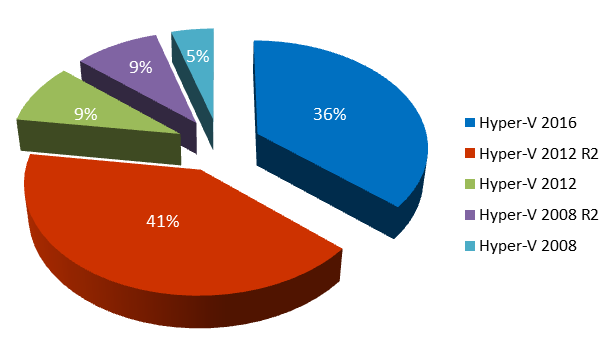 The proportion of respondents running backup software on dedicated vs. shared servers is approximately 50/50. 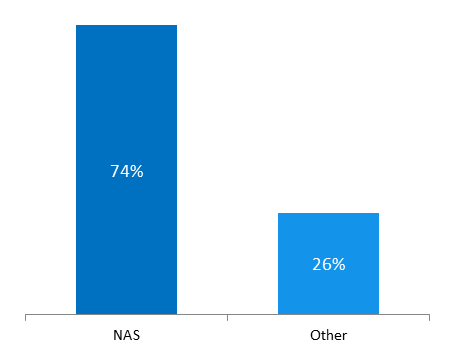 The clear majority (74%) of SMBs store VM backups on a NAS server. Others use a shared storage, the same host where the backup host is running, a dedicated server, or a SAN. In total, 75% of NAS users use Synology and/or QNAP NAS servers to store their backups. 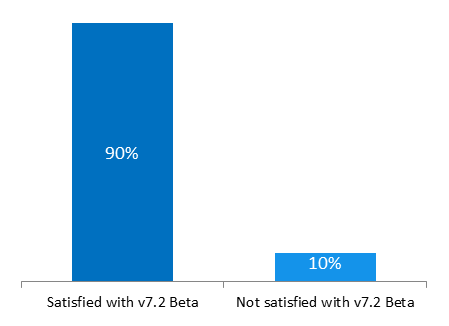 Almost 90% of respondents, who tested NAKIVO Backup & Replication v7.2 Beta in their virtual environments, expressed their overall satisfaction with this version of the product. The impressive 97% of those surveyed consider the product to be is easy-to-use. 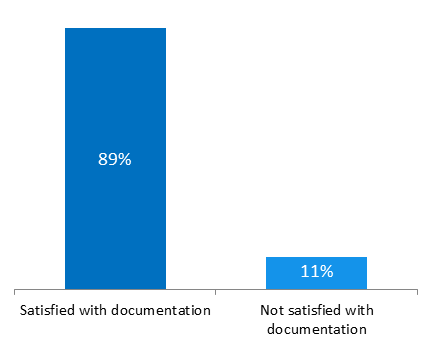 89% of survey participants are satisfied with the product documentation. 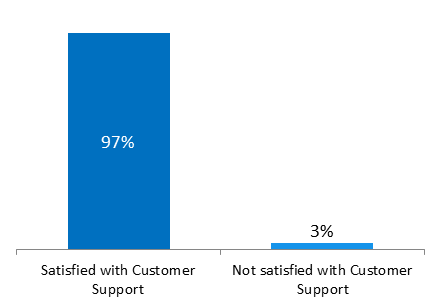 And finally, the unbelievable 97% of respondents, who contacted the NAKIVO Customer Support Center, were satisfied with the assistance provided. On behalf of the NAKIVO team, I would like to sincerely thank all of the v7.2 Beta Program participants for their consideration and time spent on trying out the Beta and providing us with feedback. This input is invaluable and helps us make an even better product for you. In case you missed the v7.2 Beta Program, but would still like to try NAKIVO Backup & Replication and make sure of its ease of use, effectiveness, and speed, Download the full-featured trial right away!